LAKE TAHOE, Nev.–The Nevada Division of State Lands is continuing fuels reduction work on state-owned, urban parcels on the eastern side of the Lake Tahoe basin. Work consists primarily of brush removal and the thinning of smaller diameter trees in residential areas of Washoe and Douglas counties. 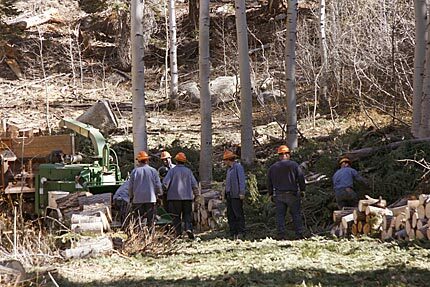 CARSON CITY, Nev.–The Nevada Division of Forestry and Division of State Parks are continuing fuels reduction work in northwest Carson City. Work consisting primarily of brush removal and thinning smaller diameter trees started as a result of the 2004 Waterfall Fire. Approximately 34 acres have been treated since work began in 2005.